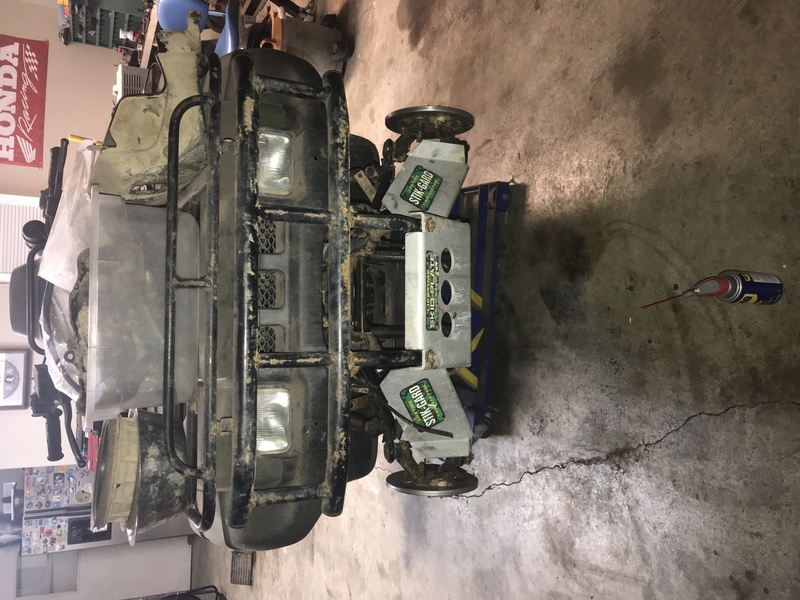 well outlaws, I finally got another project, found a 1999 trx450S on cl's, have not went to get it yet, looks to be sunday before I head that way. seller had it listed for 900 OBO, spoke to him a few times through text, and on phone, he settled on 500 cash !. he sent more pics to see, AND !!!! !..IS TOSSING IN A COMPLETE TRX300 2WD MOTOR AT NO EXRA CHARGE !!. 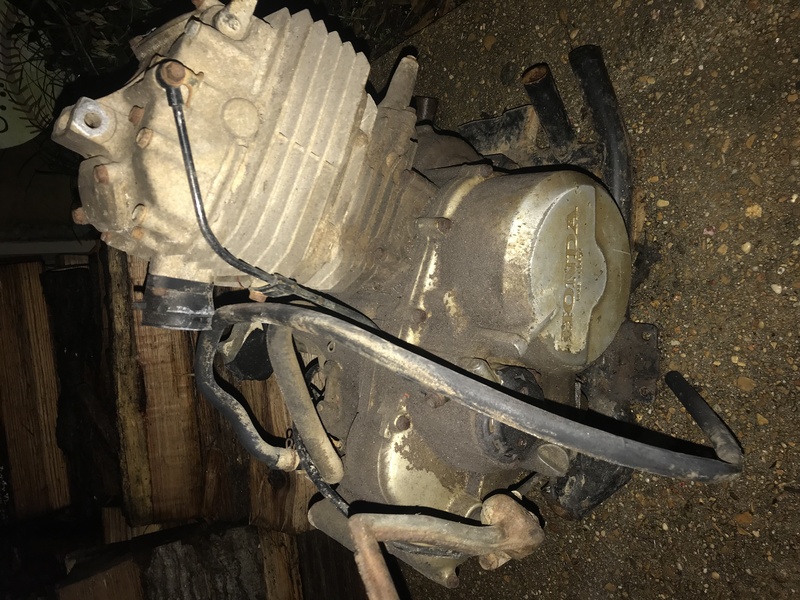 this is not mine, I will be restoring it for a member here ( powerstroke ) if anyone remembers him ?, ( we talk a lot on phone ) he's the guy I drove over to TN to help him fix his trx300fw awhile back. 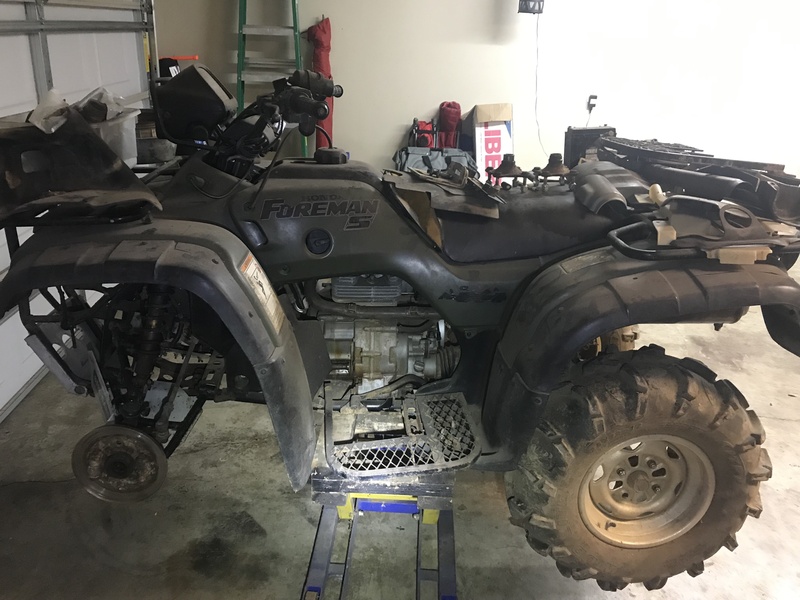 he's been looking for another atv, i've been searching the interweb for him..or me...( pick one ..lol )..found this project, he's tickled too death on this deal. owner already has taken ad down off cl ( very odd huh..seeing how I dont have it yet ?! ). plan on driving out sunday headed that way, will be later on the eve'n when I get home, all day drive..but thats how I roll !. will keep this thread updated as the build goes. will post pics when I get back home with it, and get time to post them. Jeepwm69, Goober, misterclean59 and 2 others like this. if these pics are facing right after I upload them ?, here she for now. retro and GirlsRideToo like this. well, 2 of them are side ways...lol. so much for smart phones huh ?!..lol. will be picking this up sunday. these are just pics he sent me. here's the bonus trx300 2wd motor that he's tossing in for free !. That thing looks clean! Hopefully will be an easy build. yeah bro, i've seen a lot worse in my years..thats for sure !..lol. front diff is apart, front drive axles are trashed, I think the rear diff needs to be rebuilt as well ?. said the motor ran ?, but you just know I will rip the motor apart, and have a look inside !..lol. 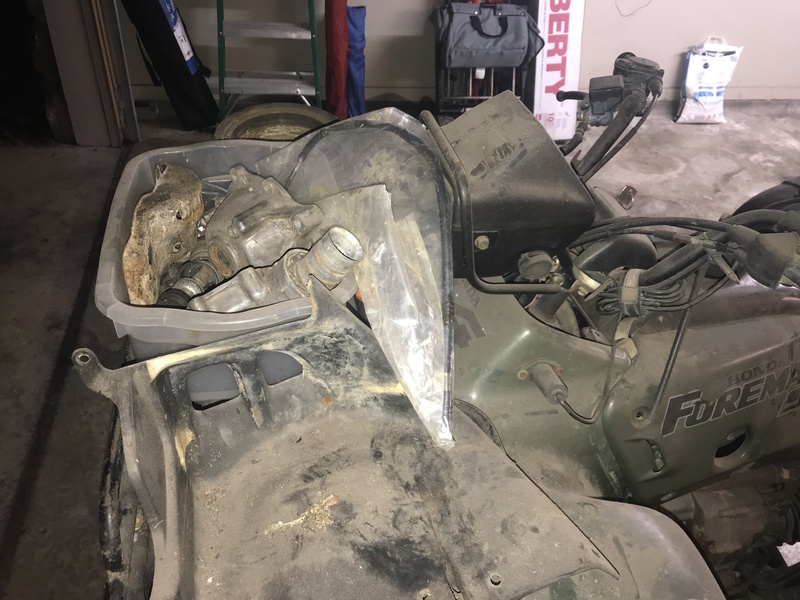 all parts are there from what I see ?, tires are itp mudlites with great tread and no dry rot from what I see ?, the front rack and rear rack are straight !!..lol. front bumper looks dirty, maybe some surface rust, but not bent !!!!..lol. all this and a free trx300 2wd complete motor ?, yeah..sweet deal for 500 bucks. did you notice the trx300 axle laying on the rear rack ?..lol. I wonder what other trx300 parts he has laying around ?..got engine, axle so far...lol. oh, and he said he's the org owner, bought it brand new in 1999, used it on his farm all its life. 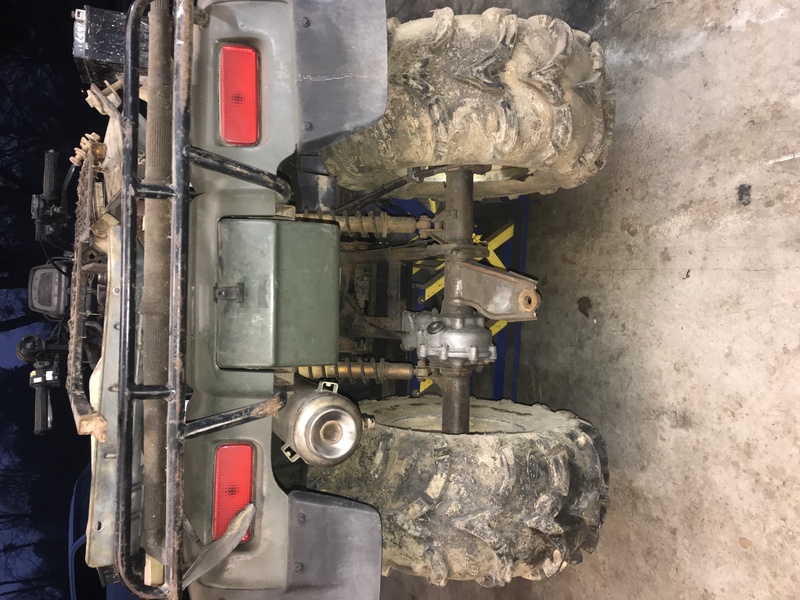 dont know bro ?, the battery is shot, but he said the motor did run before the front end and rear end went out ?. 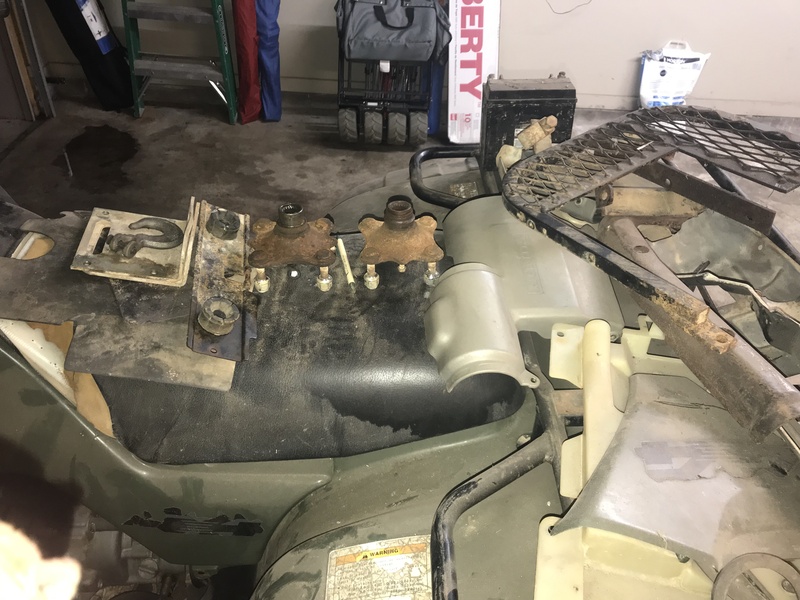 does not make a difference to me, I will rebuild/go through the motor, and it will be a fresh motor, display/meter looks rough, that will get replaced, so that makes the motor have zero miles, zero hours when I am done. Macarena Man and Jeepwm69 like this. It looks like a good project bike shadetree. Finding an original owner bike is generally a plus, just got one man's works to sort out... rather than ten. LOL.